Do you ever have those moments when you accidentally smear your nail polish during a manicure? It happens to the best of us, especially when you try to do your nails in hurry. We have great news for you – with our new Mani Marker Review by Ciaté London you will forget about these troubles! This is not a sponsored review. I have personally bought the products. 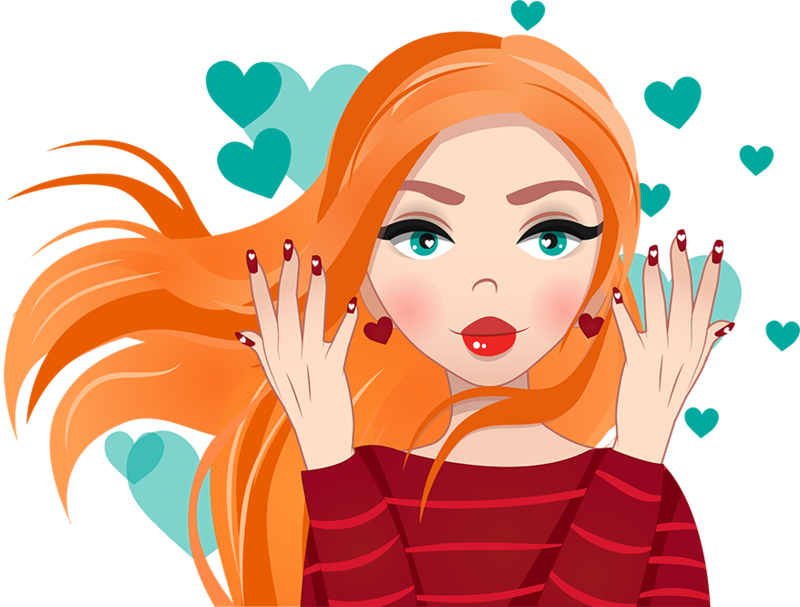 Cosmetic industry is developing year after year, so now you’ve got a chance to test a new product for your perfect mani. Are you thrilled to know more information about this revolutionary product? I am ready to tell you more about it and answer all your possible questions! So, what is the Mani Marker? Mani Marker is a pen, with nail polish inside, which makes the manicure process simpler than ever before – just shake the pen and push down on the nib to dispense the liquid contents. This magical pen was designed to change your life, making nail painting fast and enjoyable. 1) It dries extremely fast. You can spend just three minutes to make your hands look amazing! Classical at-home manicure usually takes us 30-45 minutes, because it is so important to dry every coat well for 5-10 minutes. In fact, it is a great amount of time and most of modern women are too busy. However, even if you are ready to spend almost an hour, there is a high possibility of smearing the varnish! 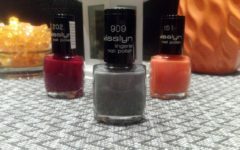 As a rule, when you have just gotten your nails covered with the polish, you urgently need to get something from your beautician, open a can to drink soda or take your smartphone to answer the call… With all these distractions that you urgently need to attend to, obviously, it is much better to choose a nail polish, that dries as fast as possible. Impossible for me to get an even layer. Since it dries almost instantly. 2) Color is bright even after just one layer! If you do this perfectly, you won't need to cover your nails twice or thrice, so it helps to save your time and nerve cells. Don't expect this in the beginning! 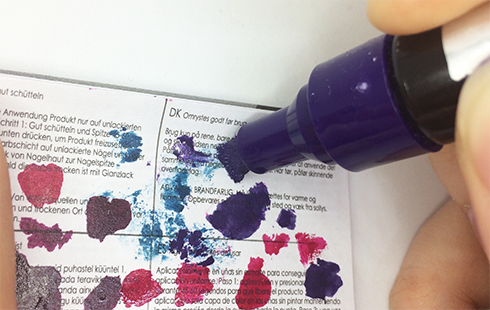 Yes, this Ciaté Mani Marker is not only fast-drying, but it is also color-intensive. The results you see are from my first time of using the mani markers. 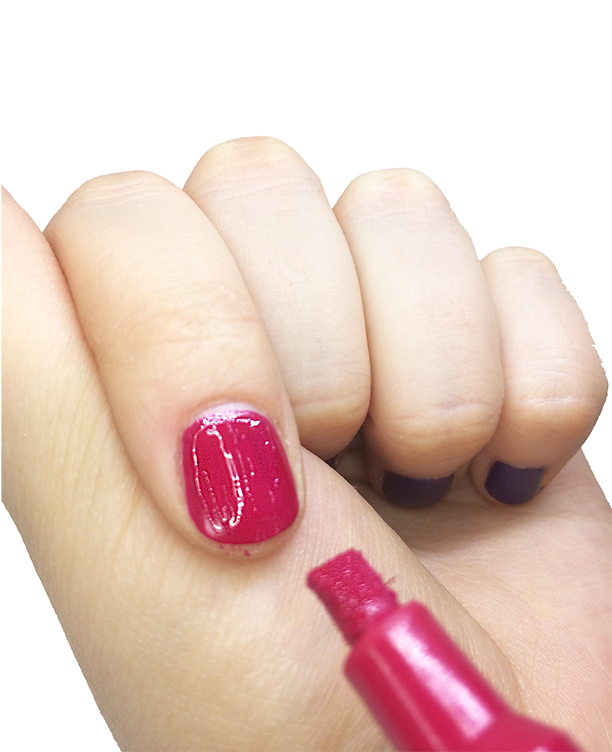 3) It's easy to use – you can apply the varnish very carefully, without touching the cuticle line. Counters will be even as long as you take your time. Streaky results are apparent, and are a bit hard to get rid off, even after 1 or 2 layers. Maybe it will be a bit tricky to use the marker for the first time, because it is important to press the pen against the nib with equal pressure from the bottom to the top. 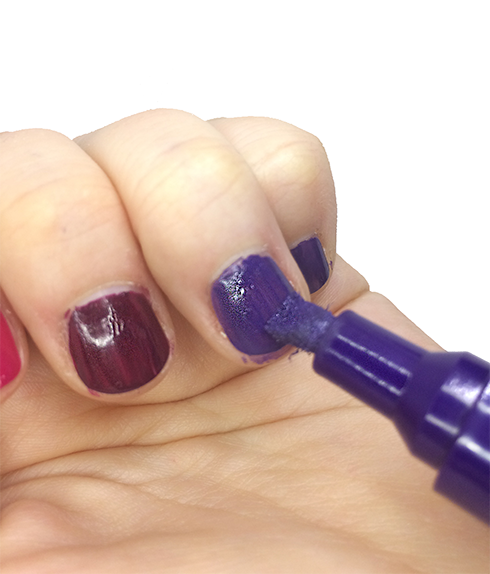 Pushing down on your nail is the only way to get the nail polish liquid out. 4) Compactness is a great advantage of this product as well! Just put this magical pen in your purse and you will be ready to correct your mani any time and any place. We are sure that the Mani Marker is a must have, if you want to look your best in everyday life. Imagine you are on a date, and the young attractive gentleman asks for your hand to give you a kiss, but suddenly you notice that you have a chipped nail! Keep the Mani Marker in your bag in order to fix such little problems, so you will be ready to save your ideal romantic image. How many colors are currently available? Now you can choose one from five available shades: Beauty Queen (pink), Thrill Seeker (blue), Lady Luck (red), Role Model (indigo), and Vintage Vamp (bordeaux). Just look how bright and trendy they are! I bought them all to carry out some experiments with shades combinations. It made me feel free to express my creativity designing an exclusive mani! Extra great news is that you will not overpay for your perfect manicure any longer. This product is available for everyone! 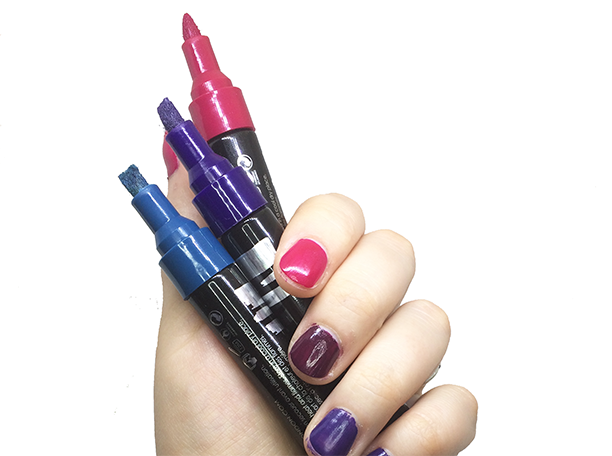 One Mani Marker pen cost only $12, and five-shades set even less - just $51! 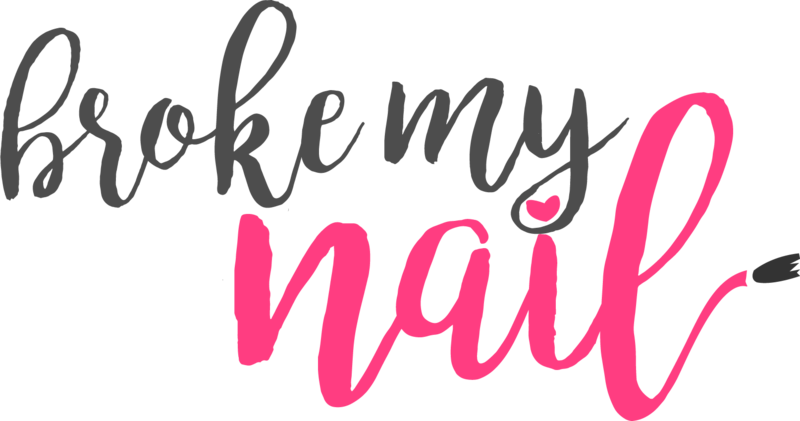 There is no need to attend a beauty salon, because you have an opportunity to save your time and money painting your nails with Ciaté’s Mani Marker at home. 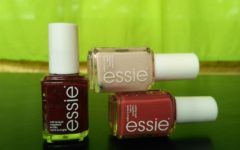 Some of the best gel nail polish brands cost around the same, $60 for 4 or 5 bottles. Where can I buy the Mani Marker? This product is distributed in all retail stores, where Ciaté London cosmetics are usually available. Also you can make a purchase at official site ciatelondon.com and the precious product will be delivered to destination in few days. How can I remove the nail polish? Actually, the Mani Marker pen contains varnish, with formula similar to the classical nail polish. Thus, you can use your ordinary polish remover. It isn’t that hard, is it? Mani Marker Review Summary - Buy or Don't Buy? So, let us summarize all advantages of this wonderful Mani Marker by Ciaté London. 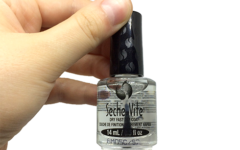 We believe that it is a revolutionary product in the field of at-home manicure. First of all Mani Marker pen is very easy to use: you can almost create an even coat, though there will definitely be streaks. You will most certainly need some time to get good at using it. Mani Marker gives your nails a bright and intensive color from the first coat, and it dries extremely rapidly – thus nail painting will take you only 3 minutes. You can spend little money buying this wonderful product, however, my recommendation is to buy it as a gift for someone. You are free to choose one of 5 extremely trendy colors and wear fresh stylish mani every day. 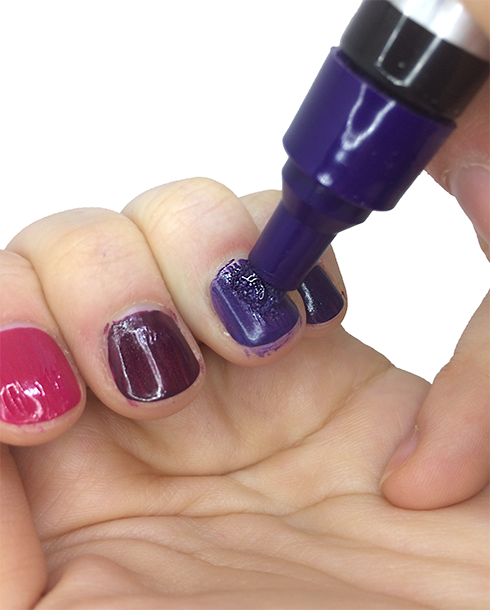 The Mani Marker will change the outlook on at-home manicures. Life becomes easier with innovations in cosmetics industry, so we should benefit from it! Then again, pre﻿﻿ss on nails are easy to apply as well. It's definitely something new and to get excited about, but now as it is with, with the bad manicure marker tip, if you wanted to try it out for yourself, I recommend saving your money and investing in a more quality product. It's a Don't Buy from me. Hope this Mani Marker review was valuable. Let me know about your experience with them.